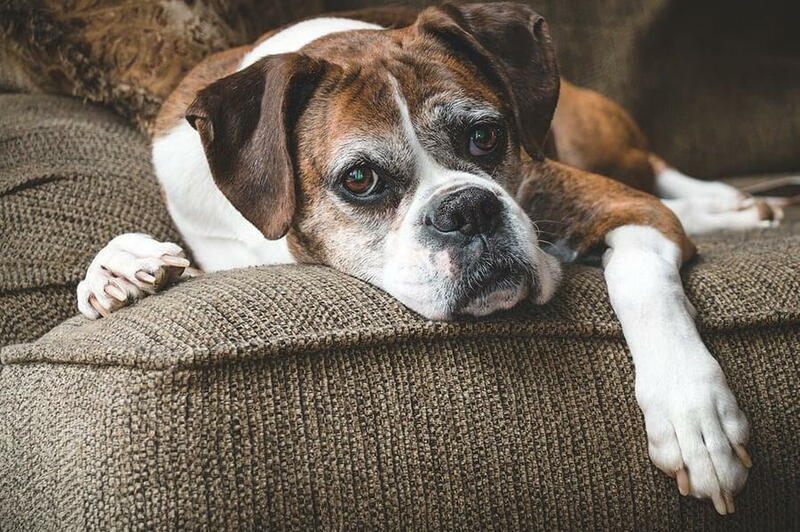 In this article, Hartland Park Animal Hospital – conveniently located in Lexington, Kentucky (KY) – veterinarians give ways to relieve pet arthritis . Contact us today for all of your veterinary needs. One of the best ways to relieve pet arthritis is to keep them active. Light to mild exercise is beneficial to keeping your pet’s joints and muscles healthy. It is a good idea to monitor your four-legged friend while they walk, play, or run, so they do not overexert themselves. Harder surfaces, like concrete, can be unforgiving on their joints so it is recommended to find a soft surface for activity, such as a carpeted area. Swimming is a fantastic exercise choice, as it is low impact. Your pet can stay active without putting any pressure on their joints. Getting your pet to move regularly also prevents them from gaining weight. If your pet is overweight, this only causes added stress to their joints and furthers their pain. Maintaining a healthy weight is critical when treating pet arthritis, so make sure to keep them moving as much as they can handle. Another one of the useful ways to relieve pet arthritis is massage therapy. Massaging your animal’s muscles helps promote circulation. This type of therapy is able to stimulate the flow of blood to the deteriorating muscles. The pressure applied is also beneficial for increasing their flexibility as well. Gently kneading your pet’s body is a treatment option they will enjoy and will increase the bond you share with them. This treatment will not only ease the pain, but it also makes them feel calm and at peace. There are even professional pet massage therapists you can hire if you are not confident in your skills as a masseuse. Relying on an expert for treatment will ensure your pet receives a thorough and comforting massage. Supplementation is a valuable additional avenue to consider. Ideally, pets should receive all their nutrients from their diet, but some processed foods for animals are believed to lack the essential nutrients to keep them healthy. Supplements are a way to ensure your pet has all the means to be their strongest and healthiest self. This is especially helpful for those suffering with arthritis. Joint supplements are available to promote joint health and healthy cartilage. Those containing glucosamine and chondroitin can support improved joint function while also increasing the mobility of the joints. Omega 3 fish oil supplements act as an anti-inflammatory, and have shown to benefit dogs with arthritis. While these substances can be found in some diets catered towards arthritis, higher levels of the nutrients attained through supplementation can be more effective. A veterinarian can provide supplement recommendations, so your four-legged friend can be at peace. Hartland Park Animal Hospital is a veterinary practice you can trust. We provide safe medical care for pets of all ages. Our advanced facilities allow us to treat numerous conditions that your pet may suffer from. We also offer a variety of services including preventative care, pet dentistry, pet surgery, and emergency care. Our highly trained staff treats every pet like their own and focuses on making each pet feel as comfortable as possible. We are located in Lexington, KY to provide our veterinarian services to the surrounding area. Call us today to request an appointment.